The Nylon Accessory Cords from TEUFELBERGER and NEW ENGLAND ROPES are perfect multi-purpose lines. They can be used for balancing anchors, creating self-equalizers, stringing accessories, tie down straps, carrying personal gear, guy lines and any number of other non-life-safety applications. 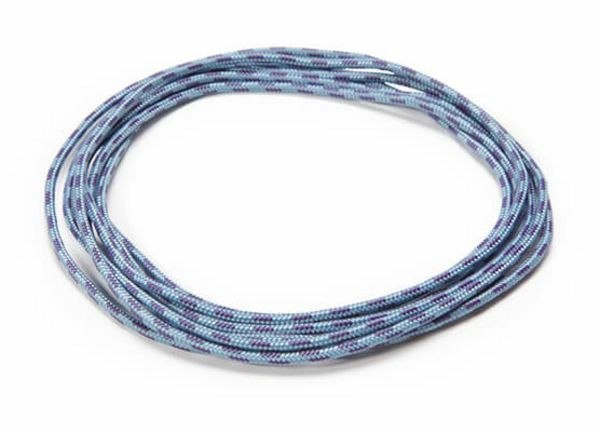 TEUFELBERGER and NEW ENGLAND ROPES Nylon Accessory Cords feature a 100% nylon kernmantle construction that has been designed, engineered and manufactured with the same exacting specifications and attention to detail as our dynamic climbing ropes. These Nylon Accessory Cords are perfect multi-purpose lines that can be used as an anchor equalizer rope for the creation of balancing anchors or self-equalizers. In addition, these accessory ropes help you to keep your personal items off the ground by stringing accessories like chocks and nuts and tying down gear. They even work perfect as a decorative accessory for packs or other gear. There is no limit to what these accessory cords can be used for. Nylon Accessory Cords are available in 3mm through 9mm sizes and various lengths in complementary light and dark versions as well as black.